From a few years back, and ever since indie games based in concept drawings like Journey or Monument Valley made their first appearance, the gaming community as a whole became captivated by both the visual and auditory art such games provide, where every game experience is intended to be considered not as a difficult challenge, but as a first-rate voyage. Back in 2015, the Toronto-based indie development team Snowman succeeded in releasing one of said gaming gems, crafting one of the most stunning endless runner snowboarding games ever made, if not the best. Universally acclaimed by critics and loved by millions, Alto’s Adventure pretty much redefined a quite unoriginal gameplay and made it its own through gorgeous procedurally generated landscapes, and small but daring goals you can choose to complete. 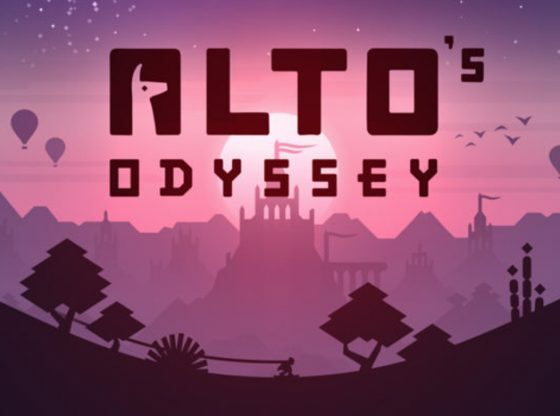 It’s been three years since its release but the hype of the game refuses to go away, and instead continues to grow after the announcement and then consequent release of its successor, Alto’s Odyssey. Originally planned to make it available by the summer of 2017, the game was delayed until early 2018, where it was firstly released for iOS as of this year’s February, and subsequently made available for all Android devices this past July. 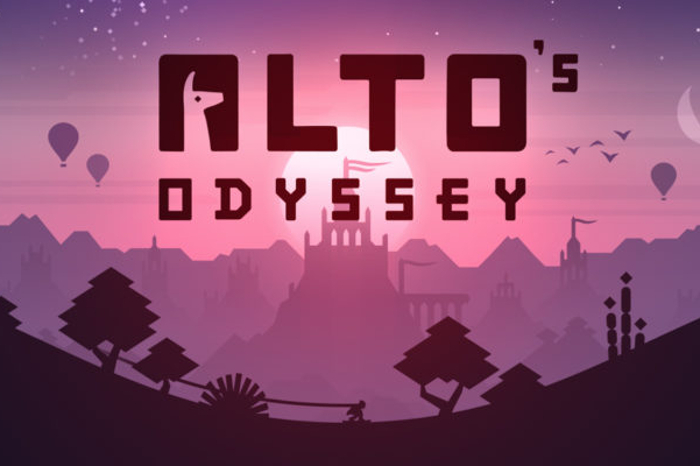 Alto’s Odyssey comes as a pleasant surprise for many, not by boasting any major chances in order to seem distinctive from Alto’s original work, but by actually seizing every good aspect about Alto’s Adventure, and making it better. The skateboarding escapade continues in as much as the same fashion presented in the first installment, but whereas Alto’s Adventure is set on endless snowy slopes, Alto’s Odyssey now displays an endless beautiful desert landscape. The much darker and warmer environment feels severer and unforgiving, which justifies all the new and exciting challenges for players to try out. Way bigger than its previous installment, Odyssey functions amidst three different zones brimming of procedurally generated sceneries that somehow manage to blend different kinds of elements from one zone to another, making each run extremely smooth and entirely unique in its own. You might encounter strings of hot air balloons while navigating the dunes, but should you come across the same spot a second time, you’ll find out all air balloons have been replaced with rows of palm trees. 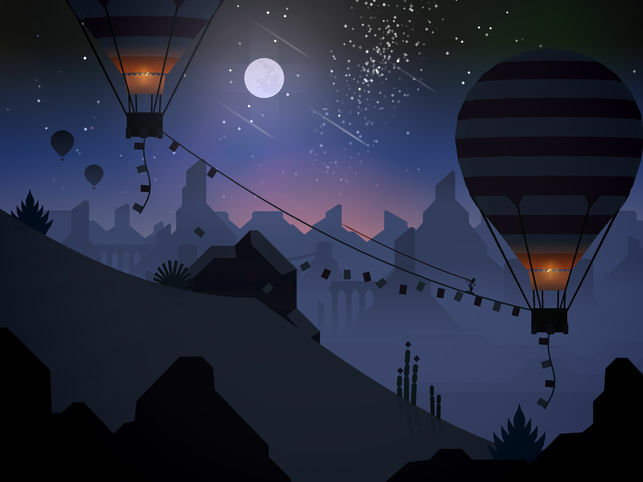 All camera features from Alto’s Adventure have been left exactly as they were, which allows you to fully appreciate every one of the wonderful vistas the game offers, from its marvelous starry skies, to its gorgeous sunsets and raindrops. Such beautiful scenery exists not just for its looks, but to actually actively interact with the game’s brand new gameplay, thus broadening the many ways you can pull off whatever tricks you’ll need to do to keep the game going. Hovering hot air balloons will make themselves available for you to bounce and slide through, and recurring mini-tornados will toss Alto or any other character you play up in the air, so as to increase tenfold your capacities. Several other new additions were added to Odyssey, such as the “Lotus flower” item, which works pretty similar as the “Hover feather” power from the first game. This means you’ll get temporary immunity to crashes, but in contrast to Alto’s Adventure, it won’t limit your speed once being used. In connection with this, there’s also some notable improvement in the game’s movement mechanic, so there are now new and better traits that might help you perform sequences of tricks. Lastly, everyone’s favorite latest addition comes in the form of a pack of Lemurs, who will do everything within their power to knock off your board. Unfortunately the only way to avoid them is to execute a sufficient amount of tricks to build your speed fast enough to lose them, but the problem comes in the fact that it is highly likely you’ll encounter one of this lemurs in the worst possible moment for you to try new tricks. The rest of the game’s gameplay stays very much in-tune with that of its predecessor, so collecting coins, dodging obstacles and completing goals continues to be the only way to level up. It all comes down to landing your flips safely in order to avoid crashing, whether you choose to play the game’s main mode or its more laid back zen version. 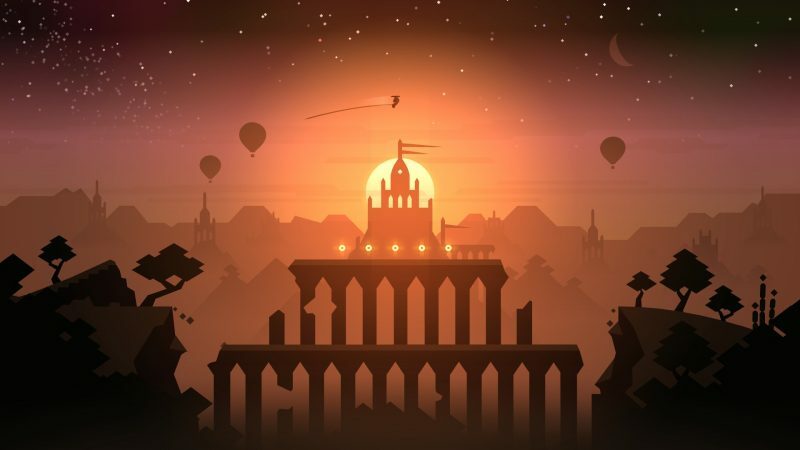 Team Alto’s more than reasonable agreement to release a free-to-play version of the game with ads included for Android users is a fair compromise for anyone looking for a trial version before actually investing their cash, but all users willing to pay for the ad-free version from the outset should be rest assured the game’s worth every bit of its price. 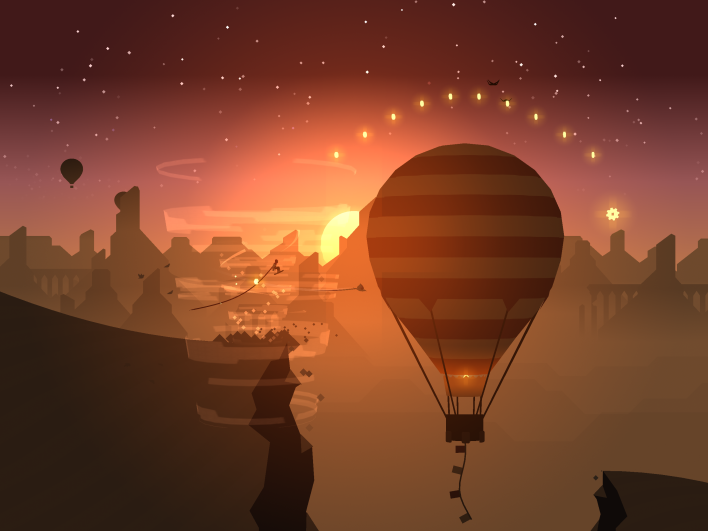 What is so brilliant about Alto’s newest journey is its refusal to entirely replace the first installment, but rather always looking to expand the wonders initially offered by Alto’s Adventure, by way of adding more depth to what was already there. Very few game sequels have been able to accomplish that, and we’re happy Alto’s Adventure is being followed in such an astounding fashion as this new game depicts.